Huw Jenkins has stepped down as Swansea chairman and issued an emotive statement on his decision. Jenkins has been in the role since 2002 but feels he's "been left with little or no option but to leave my position". During his time in the post, Swansea relocated from the Vetch Field to the Liberty Stadium; advanced through the divisions before spending seven seasons in the Premier League and won the League Cup in 2013. Jenkins worked alongside managers who have also gone on to achieve success elsewhere, including current Belgium boss Roberto Martinez, Celtic manager Brendan Rodgers and Michael Laudrup. 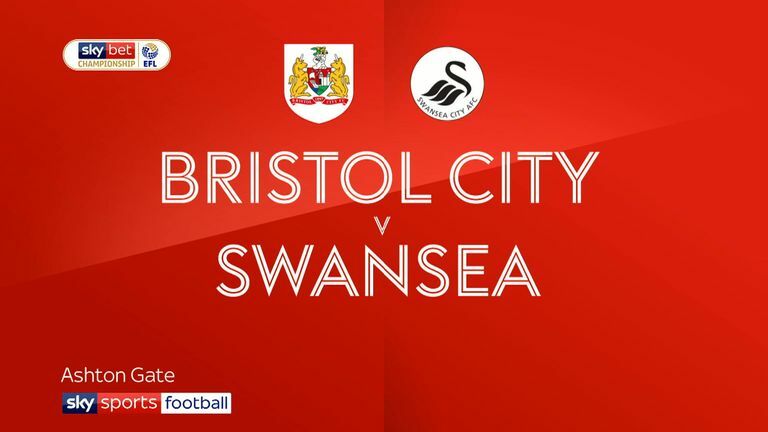 But the Swans were relegated to the Sky Bet Championship at the end of last season and now sit 13th in the table, six points off the play-off places, after Saturday's 2-0 defeat away to Bristol City. "It comes with great sadness but I feel I've been left with little or no option to leave my position. Swansea City has been a massive part of my life from a very young age," Jenkins said in a statement. "I have been very fortunate to fulfil my childhood dreams over the last 17 years or so providing direction and leadership at the club whilst moving through the football leagues and competing with the elite of British football in the Premier league for seven seasons. "Finally, I can sit back no longer and hide behind my position and stay true to myself and my beliefs. "To have led our football club through the greatest period in the club's history has been a fantastic experience. The atmosphere that we created within the club was without a doubt one of the key factors to our success over many years. "The directors and staff that worked with me over the last 17 years supported me with total trust and loyalty and we all shared a true Love for Swansea City and we operated like true supporters to run the club from top to bottom. Over the last few seasons my role as chairman providing such leadership and direction has been eroded away. I can sit back no longer and hide behind my position and stay true to myself and my beliefs. "Sound managerial choices helped me build the football club and with the working relationships I developed provided our football club with a solid platform to achieve unrivalled success over many of those earlier years and that's one of the things l shall miss most about my time as chairman. "I would like to thank all the staff and players past and present and the club's supporters who have supported me fully over the last 17 years. "It has taken me some time to finally come to this decision but the current atmosphere within the football club on and off the football field saddens me very much and I find it very difficult to fight on in a football club I love but can no longer control." Swansea subsequently issued a statement of their own in reaction to Jenkins' resignation in which they cited concerns over recruitment policy and said the way the club "has been run on a day-to-day basis has to change". "Everybody connected with the club appreciates what Huw has done for the club over the past 17 years," read the statement. "His part alongside the Supporters Trust and others in saving Swansea when the very real threat of extinction loomed will never be forgotten. "Guiding the club to the Premier League and all the subsequent success enjoyed by the supporters was a huge achievement and there can be no doubting his passion and devotion to the club he has supported from childhood. "However, it has reached a stage where the way Swansea City has been run on a day-to-day basis has to change. "There can be no disguising the fact recruitment has been extremely disappointing for the past several transfer windows. It has left the club in a weakened position where strong action had to be taken to rectify the situation. "Hopefully this is an opportunity for a new chapter in the club's development. It is an opportunity to rejuvenate, to bring in fresh methods of working and move forward with a strong decision-making process. "The search has begun for a leader of football operations who will work closely with the senior management team and Graham Potter and his backroom staff. "This will be a team effort, using the undoubted skill sets needed to run a modern and functioning football club. "That search will be conducted in close co-ordination with the Trust, who have made clear their belief the club needed to change the way it operated specifically in terms of recruitment. "The club hope to make a swift appointment and will update supporters on the progress when there is more news."